Free texting service Shine offers daily messages to help motivate people. Every morning it sends a conversational experience around wellbeing, designed to get a user’s day off to a good start. According to a company survey, 93% of people who have used Shine texts say they are more confident and have seen a noticeable improvement in their daily happiness. Shine has now launched a short-term campaign in partnership with chat platform Kik to help college students confront anxiety. Those who sign up for ‘The Flip Side’ will receive five days of texts to help them see the flip side of things people stress out about when they head to college. Each day of the week, college users will receive a text with motivational messages, inspirational quotes, research-backed articles, real-life advice, actions for practicing self-care and more to help start the new semester right. Shine’s five days of messages are designed to help recipients see that their worries are normal and offer advice about how to deal with them. 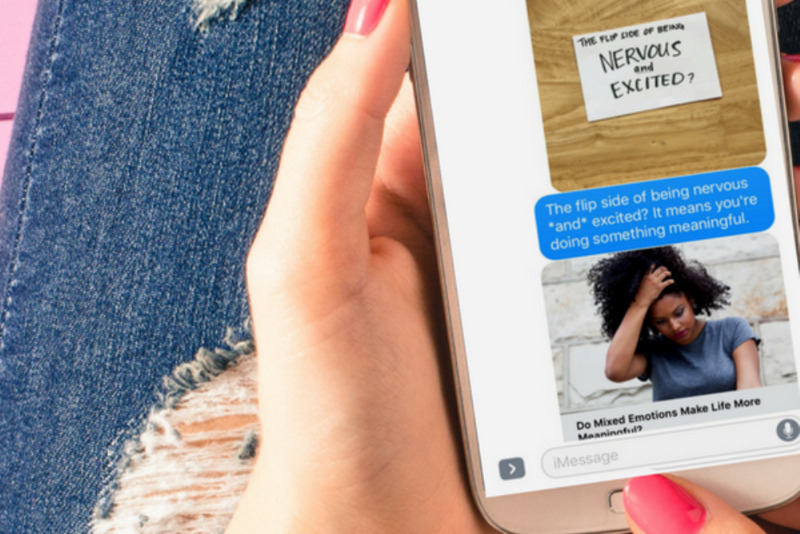 The first text is a challenge to see the flip side of being nervous and excited, positing that it means you’re doing something meaningful. Until September 15, students can message Shine by writing “FLIP” to get the daily messages.